Speaking of Playing My Part…. 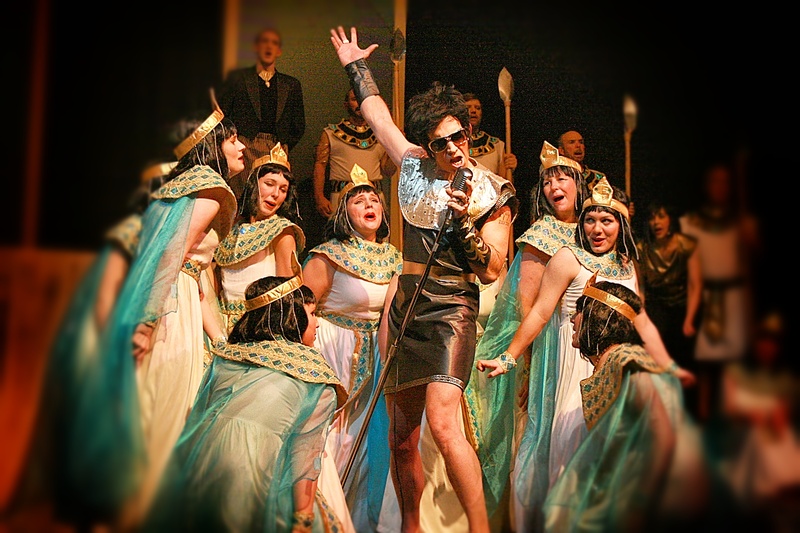 Playing Pharaoh in Joseph and the Amazing Technicolor Dreamcoat. It was great to have my folks and Wendy’s family at Sunday afternoon’s performance of Joseph and the Amazing Technicolor Dreamcoat. When mom, who didn’t know the show, heard that I was playing Pharaoh I think she was thinking more Yul Brenner than Elvis. She was in for a little bit of a shock 🙂 . There are three performances left if anyone is interested. Tickets can be purchased here.